PAS iQ Auto-Plus Ultrasonic power supplies are automation ready systems with patented PAS Multi Probe Controller built into one convenient unit. This robust and compact unit is perfectly designed for automotive industry multi probe automated systems. 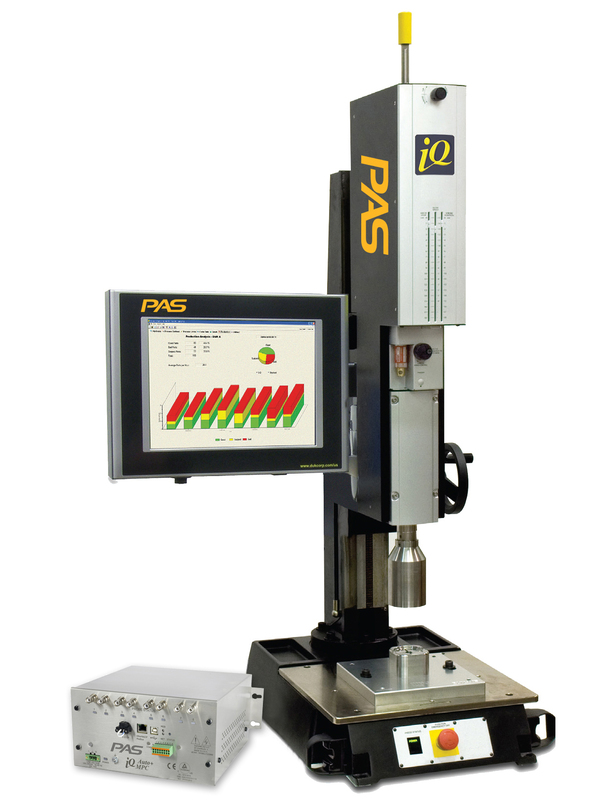 The iQ Auto-Plus systems incorporate PAS’s patented digital design. Our industry leading 0.5 millisecond multi-core processing speed provides extreme accuracy and repeatability. Integrating the iQ Auto-Plus and MPC modules reduces cabling and simplifies integration. iQ Auto-Plus MPC is available in 600 or 1200 watt power levels and these panel mount units include an Ethernet/IP port for data acquisition and process control.